Only one more week 'til Christmas!!!!! If you are still in need of some small handmade gifts, I have the perfect project for you today! 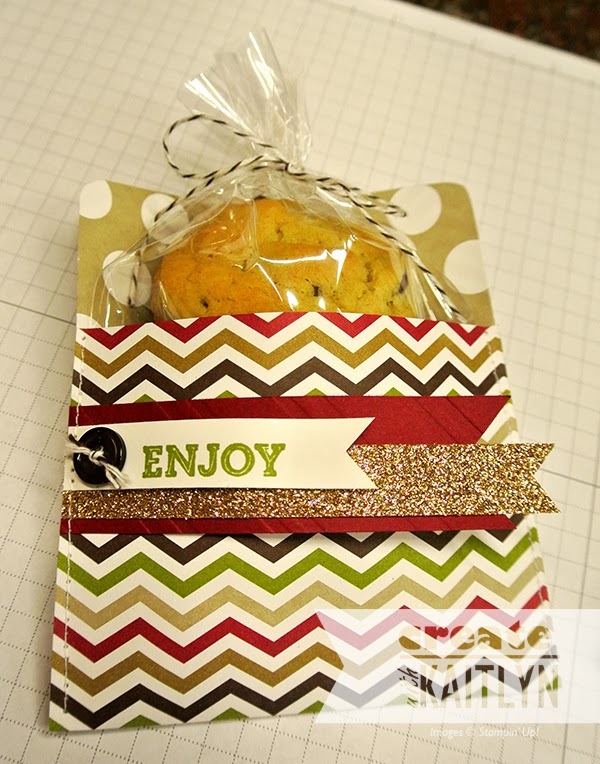 These treat holders made with the Envelope Liner Framelits are super easy and fast to make! I used three different sheets of the Season of Style Designer Series Paper. To get the most out of my paper I cut my paper to be 4"x8" (cut the 8" first on a 12"x12" to get 4 out of a sheet). Then I lined up my piece of paper in the center of the middle-sized envelope liner. Be sure to bring your paper over top of the end of the Framelit so it doesn't cut it. Then just fold up the bottom and seal the edges! I decided to sew mine, but you could easily just use sticky strip. 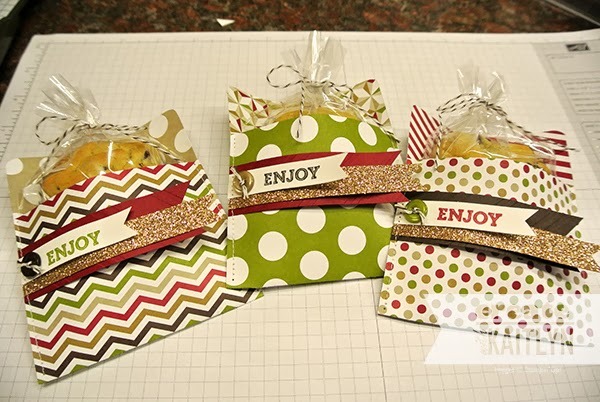 I was able to fit two cookies into these holders, so it is the perfect size for just about any treat! I really like the patterns on this paper, so I decided to keep the embellishment pretty simple. 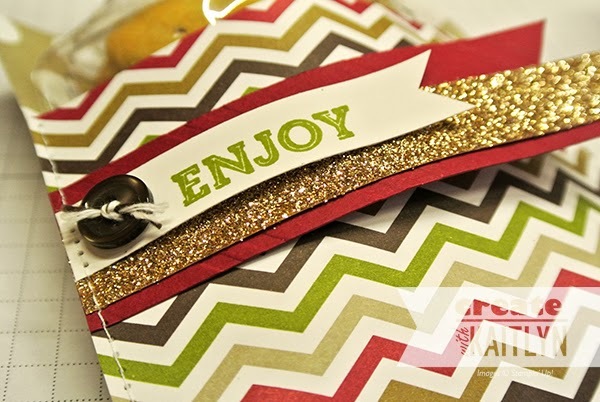 The Cherry Cobbler is embossed with the Stylish Stripes Embossing Folder. The "Enjoy" is from the Oh Goodie! stamp set.